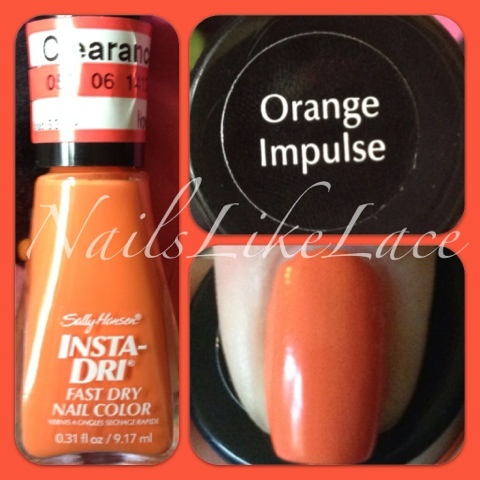 I recently bought Sally Hansen Orange Impulse just because it was on clearance, I don't own many oranges, so I figured I might as well get it. I decided I wanted to swatch it, but I am terrible at leaving well enough alone, so I wanted to also do some sort of nail art. 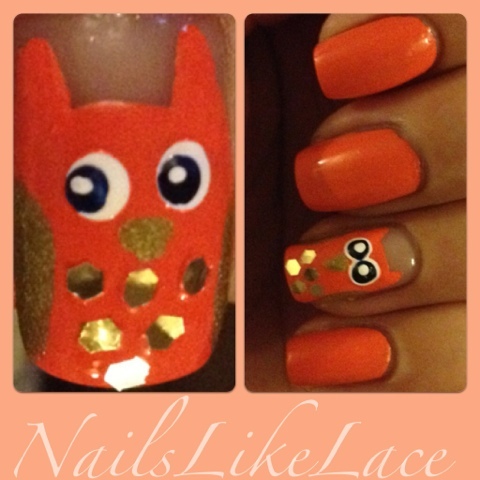 China Glaze Mega Bite, Wet'n'Wild Blue Moon, and some white acrylic paint helped me out in creating these adorable little owls!